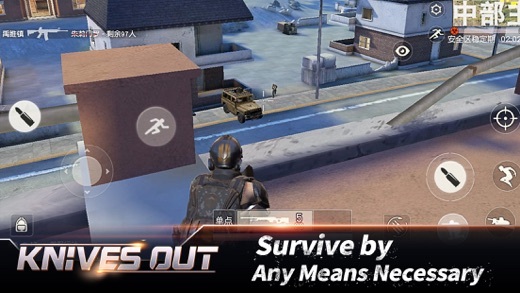 After NetEase has released its PUBG-inspired game, Wilderness Survival, which was dubbed in Chinese, they have released today an English version of the game called Knives Out [Free]. Now international players will find it much easier to play the game and engage with the different settings that it includes. Knives Out allows up to 100 random players to parachute into an island, each selecting his own landing location. Once landed, players start searching for weaponry that will help them eliminate all the other players and be the last survivor on the island. The mobile game gives you an almost identical experience to the PC game and has already gained popularity among the mobile esports fans. There are different modes in the game which allow you to play solo, duo or as a team! You can check the video below to get an idea of how the game looks like.